, 75mm (MI 350/209, illus. ; vL -; Eim. 159; BDM VIII, 155-156; Platt p. 259). 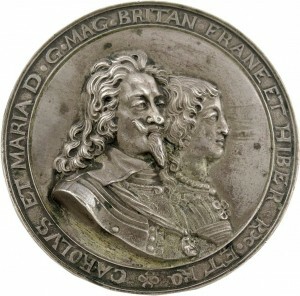 A superb medal, nearly extremely fine and extremely rare. The obverse was first used on the medal for the Anglo-Dutch Fishing Treaty of 1636, with the numerals of the date 16=36 to either side of the busts and with a reverse depicting Justice and Peace embracing (MI 279/ 84). 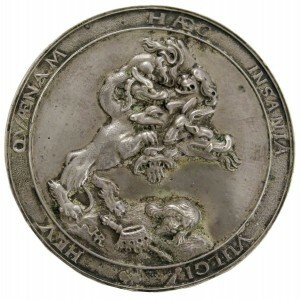 This entry was posted in German, Germany, Medals and tagged Early Medal on November 24, 2015 by anelson.